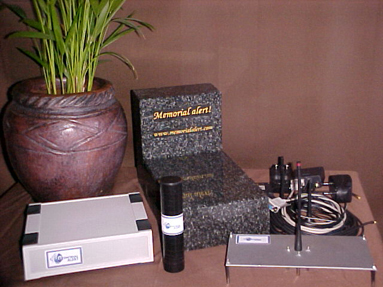 The Memorial alert technology provides for the notification to the designated living descendants, the Cemetery Authority and the Local Police (Law enforcement Agency) and/or security company should there be an attempt of theft or vandalism of the relevant memorial. This notification will be via a SMS to the designated mobile phones, and/or E-Mail notification to the relevant parties within seconds of the incident. The benefit of the product is the “silent alarm” which dramatically increases the probability of an arrest of the culprit/s. The product is manufactured in South Africa and the manufacturer is committed to produce technology of the highest and most certified standards. About Chaldean Trading 9 (PTY) LTD.